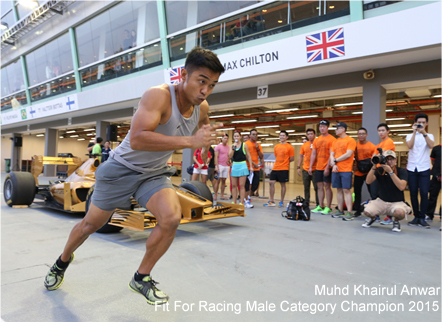 Participants in the Fit For Racing Challenge will go through a circuit-style workout created by Paul Haines, an Australian fitness coach who has trained elite athletes including Formula 1® driver Daniel Ricciardo. "I''m excited to once again be a part of Singapore GP''s Fit For Racing programme. Last year''s event received a fantastic response and I was very impressed by the calibre of the participants. The challenges are a great opportunity for fitness enthusiasts to test their limits as they go through similar workouts as the F1 drivers," said Paul Haines, High Performance Fitness Consultant.